Buying diamonds is expensive and a scary investment to make. For most of us, it means saving up for months to be able to purchase a good quality piece with diamonds. At Kimberly’s Jewelers in Fort Walton, FL, we want everyone to have the diamonds they want at prices they can afford. 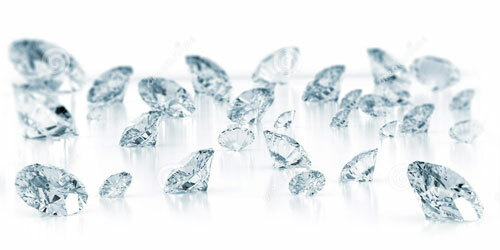 Carefully Selected – We pride ourselves on the quality of our diamonds. None of our customers have ever returned any of them, and they all feel more than satisfied with the quality stones we provide. They are carefully selected and added to our pieces, and we always make sure that they are as beautifully crafted as possible. Engagement Ring Fittings – If you have purchased a ring and would like one of our loose diamonds to crown it, we are more than happy to do it for you. We guarantee that we will have it ready for when you need it so that you don’t have to feel stressed about it. Diamonds can make any piece of jewelry a work of art. At Kimberly’s Jewelers in Ft. Walton, FL, we take the time to only offer the best diamonds and custom diamond jewelery to our customers. After a long and careful selection of the best diamonds, we do our best to price them so that they are an option for almost everyone’s budget. If you are looking to buy a great diamond ring or if you’d like to add one of our diamonds to a piece of jewelry you already own, then stop by Kimberly’s Jewelers, and see how we can help you today!